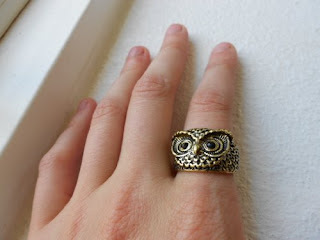 Traditionally in Western culture, owls are a symbol of wisdom as well as good luck -and don't we all need more of that? 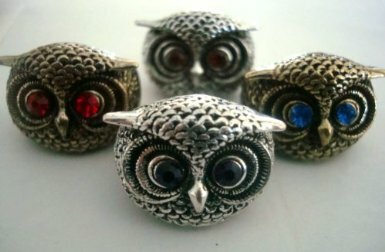 Owl symbols date back to ancient Athens, during an inspiring age of wisdom.The owl appeared on coins and was the Goddess Athena's (protectress of the city) own symbol. Some archeologist's also claim the owl symbol dates back to the pre-Indo European Neolithic age, where the bird itself was worshipped as a Goddess. In Mexico there is an old saying "when the owl cries, the Indian dies". 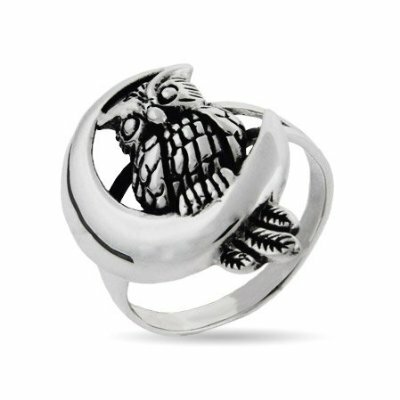 The owl then, has different meanings for different cultures but whatever the symbolism, it seems the owl has a powerful resonance in the human psyche and in recent times, the owl ring has returned as a popular accessory.